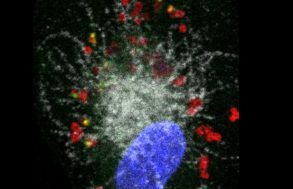 A team of researchers from CNRS, INSERM and Aix-Marseille Université (AMU) at the Centre of immunology (Marseille-Luminy (CIML), together with the Singapore Immunology Network (SIgN)1, has proven that not all of the immune system’s important mast cells are produced in bone marrow, as was previously thought. Scientists found embryonic mast cells in mice with functions that are likely to be different than the mast cells found in adults. The study appears in the June 2018 edition of Immunity. Mast cells are immune system cells that play a role in inflammatory processes in the body. They provide an initial line of defence against certain pathogens and play a vital role in allergic reactions. Until now, research on these cells has shown that they are produced in bone marrow, as are most cells found in blood. In this study, scientists from CNRS, INSERM and AMU identified other mast cells generated in the embryonic stage of life. 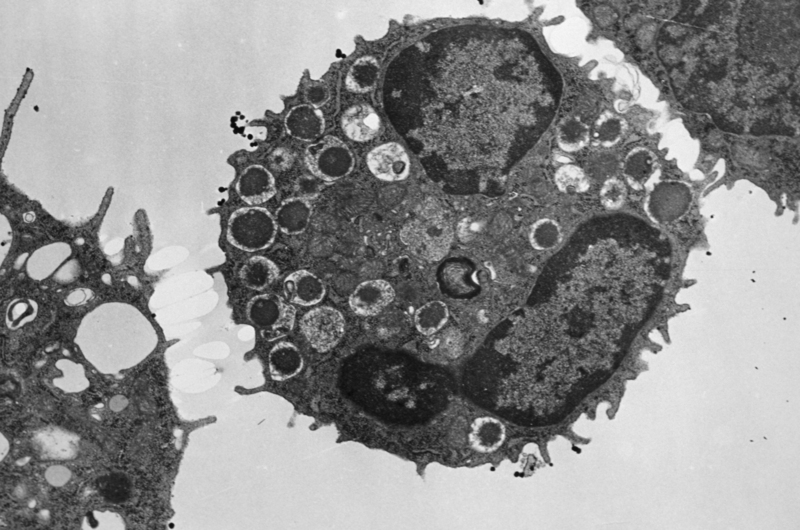 Called “primitive mast cells”, these cells are produced in the yolk sac, an extra-embryonic organ known to supply nutrients to the embryo and generate certain blood cells. In mice, these primitive mast cells are generated after the 8th day of embryonic development. They then migrate to what will be the dermis and remain there until birth, gradually disappearing as the embryo begins to produce the other “definitive” mast cells. Given that an embryo is already protected by the physical and immune barriers of its mother, researchers concur that primitive mast cells do not serve an immune-related purpose. The next step for researchers is to understand why the body produces two successive waves of mast cells with what appears to be same genetic origin but different functions. The study is also an opportunity for the scientific community to approach the subject from a different angle. 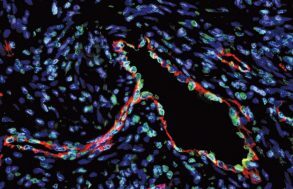 Hemogenic endothelial fate mapping reveals dual developmental origin of mast cells, Rebecca Gentek, Clément Ghigo, Guillaume Hoeffel, Maxime Jacques Bulle, Rasha Msallam, Gregory Gautier, Pierre Launay, Jinmiao Chen, Florent Ginhoux et Marc Bajénoff. Immunity, 2018.